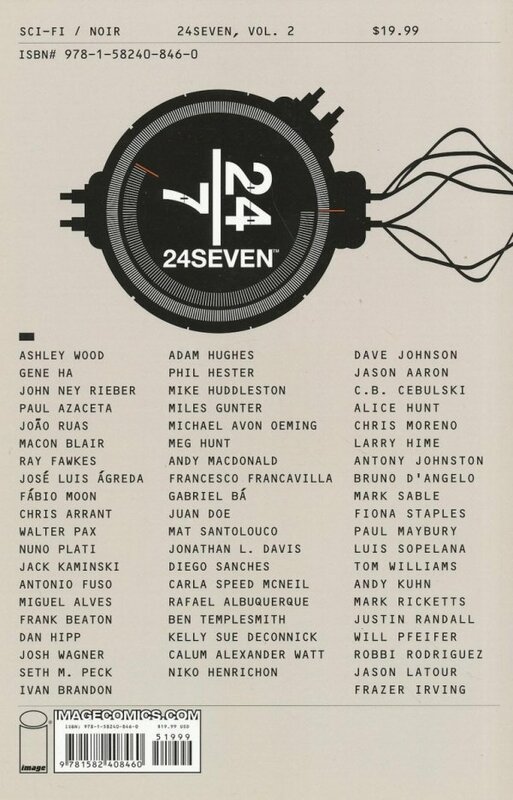 24seven features a who's who of today's best writers and artists from comics, film and animation, telling tales of ROBOTS in the city that never sleeps. Following in the tradition of the acclaimed hit 24seven volume one, volume two's stories run a cross-genre gamut, from crisis in space to bank robberies to gambling robot dogs. 24seven has romance, action, horror - everything you want - told by a cross-section of the most diverse writers and artists you'll find on the printed page.